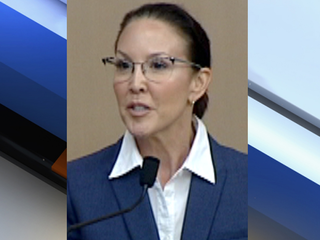 WEST PALM BEACH, Fla. - The Florida Supreme Court ordered the removal of Palm Beach County Judge Dana Marie Santino Monday. The court said it was acting on the recommendation of the Florida Judicial Qualifications Commission. Santino was accused of blasting her opponent, Gregg Lerman, in the 2016 election for county judge. Santino admitted in a hearing that the ad was wrong. She said she did not approve the ad from her campaign manager and pulled it when she learned about it. “I think she needs to be removed from the bench,” Lerman said at the time. Santino beat Lerman by 15,000 votes, according to the Palm Beach County Supervisor of Elections. The court voted 4-3 for removal. The Palm Beach Post first reported the court's ruling.